Dr Sarah Condron is an Australian trained paediatric surgeon with consultant appointments at Northern Hospital and Angliss Hospital. She graduated from University of Melbourne in 1999, following which she completed her paediatric surgical training at Royal Children’s and Mater Hospitals in Brisbane, Princess Margaret Hospital in Perth, and Royal Children’s and Monash Hospitals in Melbourne. After completing her fellowship she has worked as a paediatric surgeon in Bendigo, then commenced employment at Northern hospital. In 2012, using a grant from the Paediatric Clinical Network, Sarah worked at Monash Children’s to establish clinical resources about Paediatric Urological conditions. Sarah started working at Angliss hospital for Eastern health in 2015. In 2016 she became Head of Paediatric Surgery at Northern Hospital. 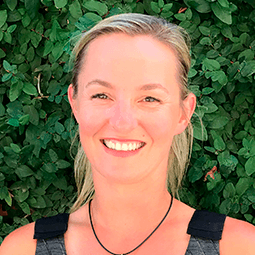 Sarah has recently started consulting at Offspring Child Health Specialists with additional appointments at Epworth Private Hospital, Ramsay Health, Cabrini Hospital, Northern Health and Eastern Health. Sarah really enjoys looking after parents and children concerned about potential surgical problems. She believes that it is important for unnecessary surgery to be avoided in children, and that time is taken to provide parents with accurate information so they can make an informed decision. Sarah really enjoys spending time with her two primary school age children, watching their progress with their extracurricular sporting activities and homework.